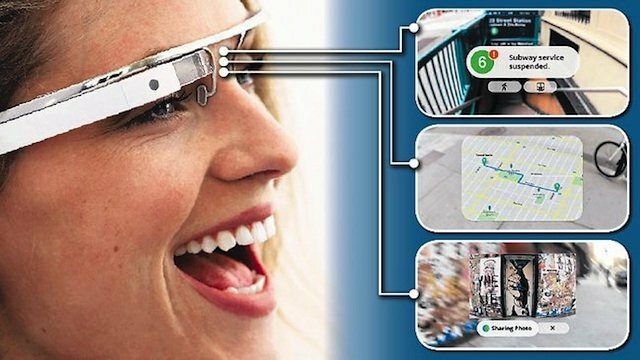 Google Glasses are set to totally change our relationship with technology, heralding a new age of ‘wearable technology’. Yet recent research from Goldsmith’s claim that 20% of the UKs population are in favour of banning them, largely because of fears of privacy. With stories been relayed about the glasses ability to allow ‘live blogging’, where bloggers record their every move and deliver live feeds of their activities, a whole array of fears have grown around the technology and its applications. That said, 39% of the UK respondents claim that they will end up buying the Google Glasses, once the wearable tech becomes more widely available. The emergence of wearable tech like Google glasses has raised concerns far beyond live blogging. The wider fear is that wearable tech will lead to a true ‘big brother’ society, where our every move is monitored. With this fear in mind, its somewhat surprising that one in five respondents were happy for the government to track their location. A further 30% were open to having their food and exercise regimes tracked by the NHS. These questions only skirt around the edges of the possibilities opened up by wearable tech, and with survey results showing an appetite as strong as 4 in 10 people showing a desire to buy, it won’t be long before we see mass market uptake. Chris Brauer, who led the research at Goldsmiths, said: “The rich data created by wearable tech will drive the rise of the ‘human cloud’ of personal data”. It’s clear that the ramifications for this technology are nearly boundless. We’ve written before about the value of fitness technology on the health industry, but true wearable technology has the potential to go much further. If wearable technology can help us manage our lives better, chronicle our experiences, share our memories and get additional, new benefits like remote health tracking, then seemingly people are willing to overlook their privacy concerns. recording their surroundings. However, some very real data is being collected, so what would Google do with this? Google is an empire built on advertising dollars, and their whole philosophy is built around building great products and letting consumers often use them for free. In return, Google gets an immense amount of page impressions on its owned media, which includes Google search, YouTube and Gmail, to name but three. On top of that, Google gets to learn lots of things about you, including the a good deal of information around what you like and what you do. Add in smart devices like their Android powered phones and tablets, and you start fetching some nice new location-based data. Google pays for these services by selling adverts around them, and this rich data allows them to target their adverts better across their immense page impression base. It’s therefore not a long stretch to conclude that advertising is at the heart of Google’s plans for glasses. So when you let Google in on your World even further by wearing their glasses, you might just be providing them with a platform to serve a constant stream of adverts based on what you do, what you like and where you go. If you’re cool with that, then Google Glasses could be one of the biggest hits in the history of technology.